A talented one woman show sharing a musical storytelling about the life of Cougar Annie. 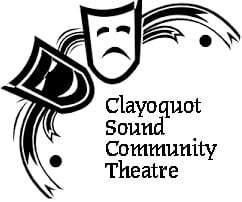 Cougar Annie Tales: Two shows October 13 & 14 at the Clayoquot Sound Community Theatre. Tickets: $15. in advance at Mermaid Tales Books & Treehouse Gifts. $20 at the door. About Cougar Annie: In 2007 I moved to an off-the-grid historical homestead /garden located 33 miles North of Tofino. It used to belong to a settler who became known as Cougar Annie. Shortly after arriving I began writing songs about her very interesting life. Here’s a little more info on Cougar Annie. While most of my research happened during the three years I spent on her land. I have since conducted interviews with anyone I could find that had a connection with her on Vancouver Island, as well as into Manitoba, and Alberta. This work led to collecting stories, photos, news clippings, and letters. After many years of writing and researching there is a show called Cougar Annie Tales. It is a solo theatre piece adapted with support from the Other Guys Theatre, director Kate Rubin, and the incredible Intrepid Theatre. About Katrina Kadoski: The early years were rotary music festivals, choirs, plays, and musical theatre. Then came the songs…I like songwriting the most. Singing is a close second. Years of classical voice training with Royal Conservatory teacher Elizabeth Taylor was a great foundation for me. The guitar has been quite a journey. I like it most days. I started playing because I couldn’t carry a piano to the beach… or rely on guitar players…It was a struggle like all new things, but, it brings me joy now, and it also gives the songs a boat to get across the water in. I like playing banjo because it’s fun, and the piano because it’s much bigger than I am. The didgeridoo, penny whistle, drum, and harmonica are meditative. Currently, I am also developing another show called the Waterman’s Daughter- check it out!